Hey everyone, see you again in Mir rom Photoshop Tutorial. 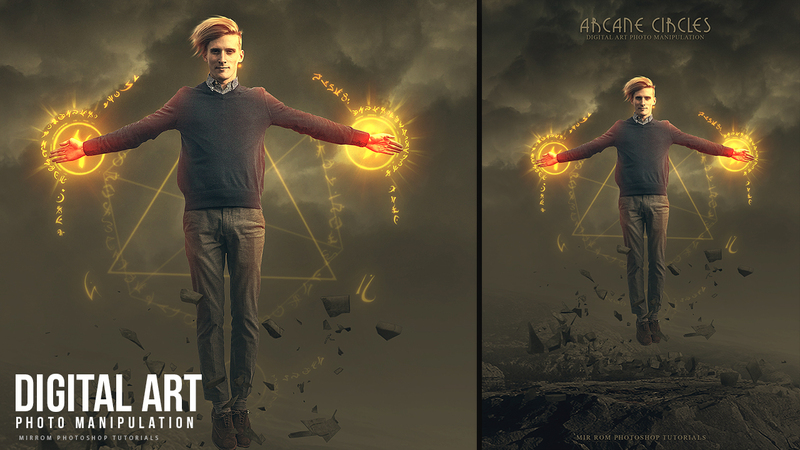 Today I'll show you how to create a fantasy art scene "Arcane Circles" in Photoshop. First, we will make the background by combining natural images of mountains and clouds. Then add fog effects with the brush tool and color blending adjustment layer. 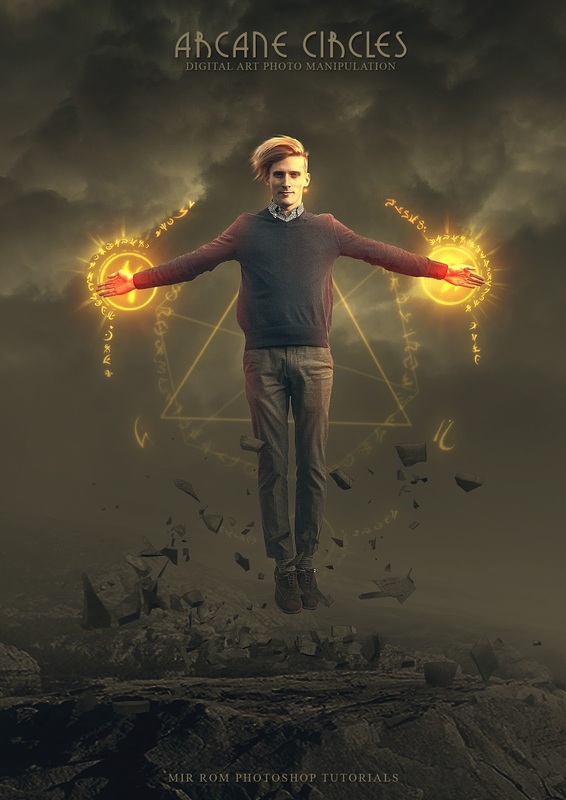 After that, we will add a male model who was hovering resulting from an Arcane magic power and it will take the stones in the vicinity also hovering. Using few simple techniques and easy, so for you who are new in Photoshop knowledge base can be easy to follow this tutorial. Enjoy! Thanking you Brother..! Awesome it is..! Bro,, how cant to download this PSD..